When large groups are planning to travel inside of Miami, it is important to consider hiring charter transportation services so everyone can get around the area. Trying to navigate through the streets of Miami can be absolutely mindboggling, confusing and stressful to each of the drivers. The roads are like a maze, and many people feel like lab rats trying to figure out how to get to the end to locate the piece of cheese. This is what navigating Miami seems like to out of town visitors. Let’s face it. The roads can be confusing if you don’t know where you are going. Sometimes, a GPS can help and other times, a GPS is a total waste. Enlisting the services of a corporate charter transportation company will make traversing the city of Miami a relaxed situation. LTG Miami will eliminate the stress of maneuvering through Miami for those attending corporate events in the hustling and bustling city of Miami. When it comes to national company events, it is of the utmost importance to ensure that each and every one of the attendees gets to the venue on time. It is equally important that they actually stay at the events until it is time for them to leave. This is generally a problem with Miami company events. The attendees want to explore the many things to do in the area, so they blow off important meetings or training sessions. A reliable corporate charter transportation company will virtually eliminate these common problems. By utilizing the transportation services of LTG Miami, your company can rest assured that the attendees of the event will arrive and depart on time by way of their corporate charter transportation services. It can be quite problematic for large companies to find appropriate charter transportation services for getting event attendees to and from the airport in Miami. Of course, the company could always get rental cars for each of their executives however; this wouldn’t be financially responsible thing to do. The cost of hiring individual cars for corporate event attendees would be ridiculously high. It’s a wiser and more responsible decision to book corporate charter transportation services in Miami. 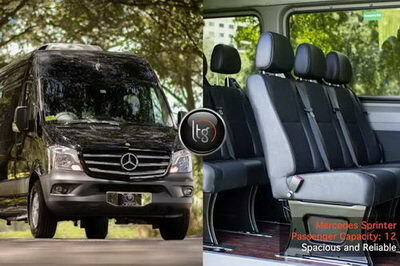 Luxury Transportation Group USA offers a wide variety of charter transportation packages for corporate events in Miami. Luxury Transportation Group USA is the premiere provider of corporate charter transportation services in Miami. Their experienced and professional drivers will ensure the promptness and safety of the executives attending Miami corporate events. From executive sedans to luxury mini coaches, the transportation services experts at Luxury Transportation Group USA can handle all of your company’s corporate charter transportation needs.